We love the summer here at Mountain Crossings. We have been getting outside whether we are on a trail, river, or in town! We wanted to share with you a few of our favorite adventures we recommend in the area. If you are travelling with your family, or are just a beginner hiker, I recommend camping at Vogel State Park. It is right down the road from us and is a great place to hang out. The camping there is nestled in the woods and feels rustic. You can enjoy a morning stroll around the lake there and maybe swim in it in the afternoon. You can walk to the Bear Hair trail, Coosa Backcountry trail, and a short nature trail. The Coosa is for experienced hikers as it is the most difficult, but the Bear Hair Loop is around 6 miles and you get stunning views of the lake from a viewpoint. You aren’t a far drive from Helton Creek Falls, Blood Mountain, and Desoto Falls if those are also on your list. Take one of our Mountain Crossings Nalgenes with you to stay hydrated while you are on the trail! If you are looking for more of a backpacking adventure, get on the Benton Mackaye Trail! This trail is less travelled by far than the Appalachian Trail, yet you will still get stunning views and rivers. This trail is around 300 miles and starts at Springer Mountain and ends at the Northern end of the Smoky Mountains. It takes a different route than the AT so you will see different sites. Check out more information on their page here to find a section you might like to hike. We have had several employees at the shop who are also raft guides on the Ocoee during the summer. They absolutely love rafting and meeting all the different people who seek adventure on the river. The Ocoee is located just North of the Georgia border in Tennessee. The middle section is the most popular and exciting. There is also the upper section you can raft to make it a full day trip. Rafting just one section is only a couple of hours but can be relatively cheap starting around $35. This is one o f the most popular rivers in the Southeast because it is fun and easily accessible. There are over twenty companies that guide on the Ocoee so I’m sure you will be able to go rafting! Check out Whitewater Express and go rafting with our employee Holly! The Chattooga is another great river located on the Georgia and South Carolina border near Clayton, GA. This is a Wild and Scenic River so you will not see any structures or other trips as you are rafting. There are two different sections III and IV. Section IV is definitely the scarier of the two as there are a series of rapids called the “Five Falls” that are pretty much little waterfalls. Each section is very fun and lasts all day. The trips are definitely pricier but the guides pack lunch for you and it is worth it for these full day trips. There are only three companies that guide on the Chattooga so you are sure to have more of a wilderness experience. 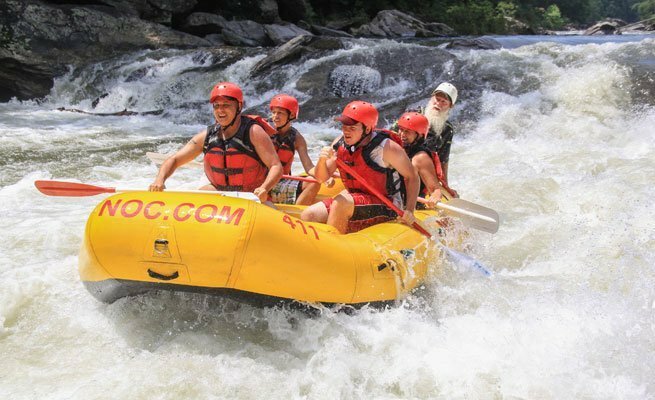 Check out the NOC to learn more about trips on the Chattooga! If you want to carry a few things with you on the river, get one of our Granite Gear Drysacks to keep your belongings dry on the raft! Blairsville is the closest town to us on the mountain. They have a few summer festivals usually held at Meeks Park in town. One coming up that we are excited about is the Butternut Creek Festival. The Butternut Creek Festival is one of the finest juried arts and crafts shows in the southeast. The two day festival showcases the work of 80 to 85 artists and craftsman in categories from basketry, candles & soap, fine art, fabric art, and decorative painting, to glass, jewelry, metal working, photography, pottery, scrimshaw, and woodturning. Held annually at Meeks Park in Blairsville, Georgia, Saturday 10AM to 5PM & Sunday 10AM to 4PM. Free admission and free parking with shuttle service from the parking lots to the show site. Dahlonega is South of us heading back towards Atlanta. The town is super cute and has a lot of great shops and restaurants. One activity we are looking forward to in Dahlonega this summer is their Movies Under the Stars. This event occurs in Hancock park near the square. Before settling down to enjoy the film at dusk, kick off your Friday evenings at 6 p.m. with activities the kids will love, like coloring and free giveaways. A Food Truck will be parked onsite for concessions. Guests are encouraged to bring blankets and low-back lawn chairs. The next movie they will be showing is Star Wars The Last Jedi on July 20th. If you can’t attend one of these festivals, at least stop by town and grab something to eat at one of the many restaurants and maybe look around at some shops! We hope you come visit us and maybe do one of the activities we’ve recommended whether it be a hike, a paddle, or a walk around town! Yesterday a nice young man came in to the shop and wanted to know some of the basics of backpacking. We are known for helping backpackers and giving pack shakedowns, but what about someone who doesn’t know anything about backpacking? This blog post is going to reveal some of the most basic things we help beginner backpackers with. These things will also be covered in our backpacking class the weekend of June 2nd. If any of these topics interest you, or backpacking in general interests you, you should definitely sign up for our class! You can Google all day long about backpacking and gear, but it helps to have a one on one session with an expert who can show you how things work and why they are important. For example, I have met several people who never even thought about bringing a water filter because they didn’t think they needed one. A water filter on the Appalachian Trail is super important. It is also good to know what a person’s goal is going to be on the trail. Are they just wanting to go out for one night? Are they hiking in the Summer or Winter? There are many different gear options and not everyone is going to enjoy the same pieces of equipment. I’m sure you’ve heard the term “ultralight” before. This has become almost an obsession for long distance hikers. It is not wise for a beginner backpacker to try to get ultralight gear right away. It takes skills and knowledge to learn the ways of ultralight backpacking and it’s not for everyone. Packing a pack is somewhat of an art. You may know the general recommendations for packing a pack, but it really helps having someone show you. Generally, you’ll want lighter items on the bottom, such as sleeping bag and clothes. In the middle, close to your back, you’ll want heavier items, like food and your stove. On the top, I like to keep food so I can access it easily throughout the day. Many hikers come into the shop and right off the bat, you can tell if their pack is adjusted properly. Packs have many different straps and buckles, and it can be confusing trying to make it fit. We are familiar with all kinds of packs and know how to adjust the various straps to make a pack fit a person well. If you do not have a pack, we can fit you and help you pick a pack that is going to be the most comfortable for you. A pack is something you really need to try on before buying. Again, this is something you definitely need to try on before buying. We have all kinds of shoe brands and we know how each of them are supposed to fit. Whether you have wide feet, small feet, or sore feet, we can show you what shoes will work best for you. We also know a few other tricks with socks, laces, and inserts that can help you. We also know the pains of blisters and we have a few recommendation to avoid them, and take care of them. 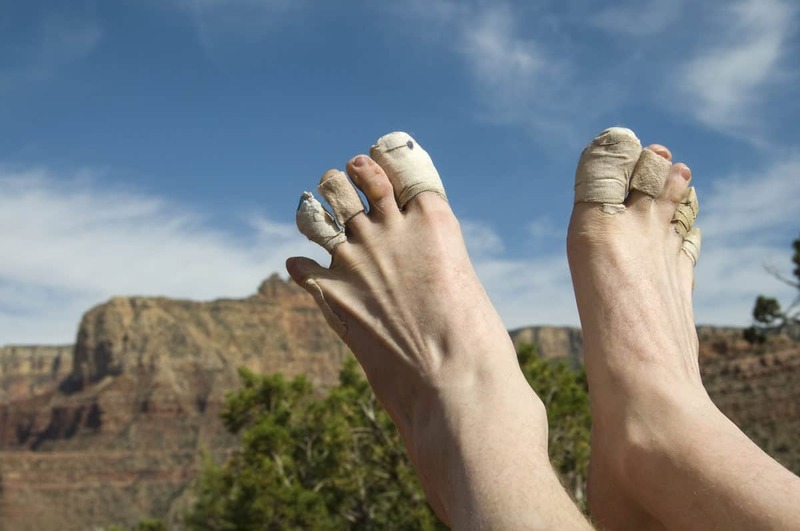 Your feet are so important while hiking and we want to make sure you take care of your own feet! The staff here have all done quite a bit of hiking. Most of us have thru hiked at least the Appalachian Trail and some other long distance trails! We have experienced firsthand what long distance hiking is all about. We can help other beginner hikers with logistics of the trail. Whether it be how many days of food you should carry or how to do a mail drop. We know all the options and can help you figure out your options as well. The best thing to do to prepare for a beginner hike is to just come up to the shop and say hey. We love helping beginner hikers with gear for their first trip. Our backpacking class will definitely be a good time to get started with hiking, or maybe just to learn a few new things. We will not only give each person one on one time with figuring out gear and questions, but we will also have a presentation that covers basics of backpacking, what to expect, leave no trace principles, and more! If you can’t make it to the class, definitely come by another time because we would love to help you! 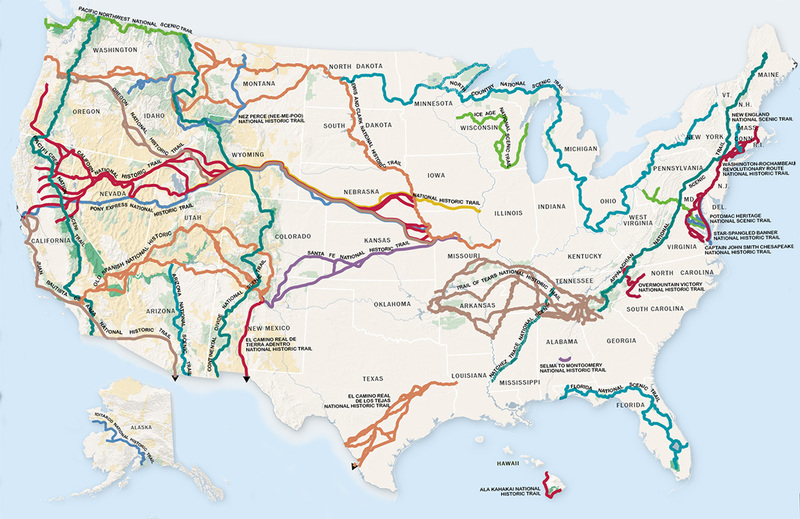 This year marks the 50th anniversary of the National Trails System Act of 1968. The National Trails System Act of 1968 was the direct result of the Trails for America report. It established three different types of trails: National Scenic Trails, National Recreation Trails, and Connecting and Side Trails. As the Act stands today, as amended, National Scenic Trails are described as extended trails of more than 100 miles in length that provide for outdoor recreation and “for the conservation and enjoyment of the nationally significant scenic, historic, natural, or cultural qualities of the areas through which such trails may pass.” Of course, we love our National Scenic Trails because we are located on one! Green infrastructure like trails and parks are true economic engines and provide for the economic vitality of a community—and a nation. Well-managed and funded parks and trails makes strong, economic sense and are job-creating enterprises for the economic vitality of communities and their surrounding regions. Trails are an integral part of the outdoor recreation experience in America and stimulate business creation, influence corporate location decisions, increase property values, reduce medical costs by encouraging exercise, and generate tax dollars. Trails also provide low or no-cost recreation opportunities and transportation options to the public. Being outdoors, and hiking is becoming a popular activity. Having established trails such as the Appalachian Trail, encourages people to get outside and go for a hike! It benefits their health and mood to be outdoors and the trails help get them there. The National Trails System has a lot of ways you can get involved this year to celebrate the 50th anniversary. Of course, you can volunteer every year on one of your favorite National Scenic Trails. But this year, there is an event map of all the trails and events nearby. It is a great tool to see what other trails are established by the National Trails Act, and to see where you can get involved. They are also having a photo contest, and you can submit your story about being on a National Scenic Trail. Be sure to check out your local hiking community to get involved and volunteer on a trail! I’m sure you’ve seen our event on Facebook and on our website for Mountain Crossings Hike School Backpacking Class. We decided to try out our own backpacking class to help prepare people for whatever adventure they have in their future. The staff here has a lot of experience helping people with their gear and questions about backpacking. We are all experienced backpackers so that gives us even more credibility. This blog post will go over details about our backpacking class and who should join. The class begins Friday, June 1st at 7pm and ends Saturday, June 2nd when everyone gets finished with gear and questions, sometime in the afternoon. The class is $50 up front, but that turns into a voucher for the store during the class. What happens in this Hike School? There will be a presentation Friday night, and then all the classmates will sleep in our hostel. The next day, we will help each person one on one with gear and questions. The presentation Friday will cover the basics of backpacking. We will go over how to plan your hike, leave no trace principles, what to expect out on the trail, and much more! On Saturday, we will be doing more hands on learning. We will help fit you for a pack and gather any gear you might need. If you have your own gear, we can do a pack shakedown and give you recommendations on what to keep, and what to get rid of. We will show you how to pack your pack, and how to adjust your pack each time you put it on. We can show you how each piece of gear works such as a stove, water filter, tent, etc. We will also make sure you have good shoes and make sure the fit is right. Pretty much, we will go over anything you need help with! We will have all hands on deck that day so that each person gets one on one attention. We want to make sure you are as prepared as you can be before you go out on your backpacking trip. 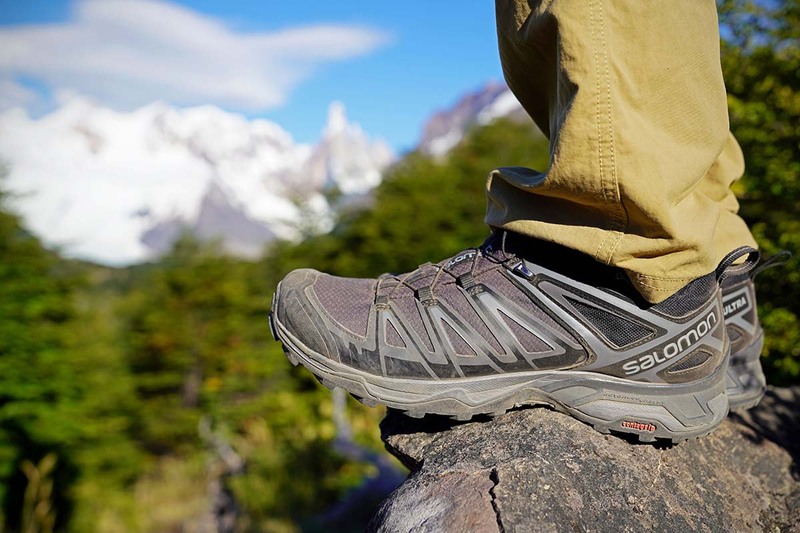 We know that a lot of people are unprepared when they start the trail and end up dropping even more money on gear and shoes because they didn’t get it right the first time around. 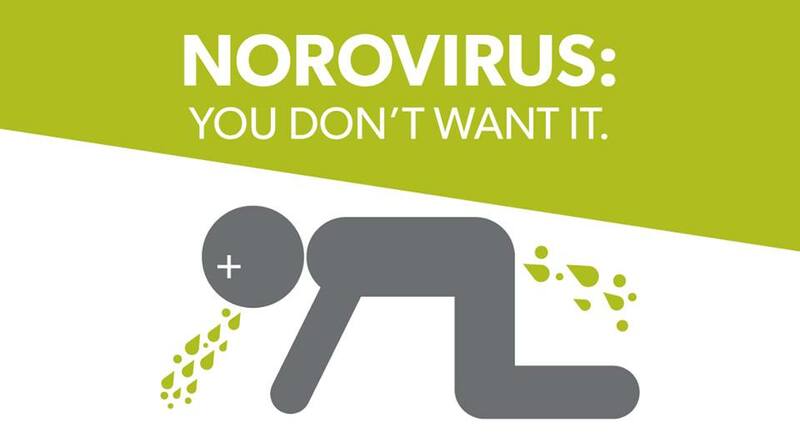 We want to avoid this problem! We also want to make sure you can avoid small mistakes with some of your gear due to improper use. No matter who you are or what questions you have we will help you out! Honestly, anyone can come! If you have never been hiking before, you can certainly learn a lot from the class. Even if you’ve been on a few trips and want to learn more about gear and hiking, you can learn a lot too. If you consider yourself a backpacking expert, you might be able to pick up a thing or two from the class as well or just enjoy meeting other people and seeing what kind of gear they have. The great thing about this class is it is only $50 to sign up, and that $50 becomes a voucher for the store! So if you are an experienced backpacker and are needing a new Sawyer, pot, jacket, anything, you can come to the class and learn something you didn’t know, and get the gear you need. We encourage you to bring the gear you already have so we can help you optimize it, or make sure everything works properly for you. If you do not have any gear, this class will help you buy your gear once and to buy it right the first time. Our hostel has mattresses, but you need to bring your own sleeping bag and pillow. Be sure to bring all your nightly essentials for a sleepover. Other than that, just bring a list of questions for us and we will answer them! If you want to sign up, go to our website here to purchase your voucher. If you have any questions regarding the class, contact jason@mountaincrossings.com. Thanks and we hope to see you there! The Appalachian Trail Passport is becoming a more exciting item to carry on the trail. It acts like a real passport in that you can get stamps each place you stop. It is a fun souvenir to carry with you on the trail and look back on all the places you have been after the trail. The idea originated in Spain on the Camino de Santiago. On the Camino, hikers carry a “passport” that would be stamped at each hostel to show where they stayed and to prove their pilgrimage of the trail. On the Appalachian Trail, most places you can stop along the trail have acquired their own stamp to stamp the AT Passports. Hostels, outfitters, hotels, shuttle drivers, and other points of interest carry their own stamps. The passport only weighs one ounce so it hardly takes up any weight! But of course, ounces make pounds. A benefit to purchasing a passport is all the proceeds are donated to the Appalachian Trail Conservancy to help further protect the trail. Check out the passports here to buy yours today! We also sell them in the store if you want to stop by the shop on your way through. Here is the official list of locations to get your passport stamped. The Southernmost place to get a stamp is at Amicalola Falls State Park, and the Northernmost spot is at Baxter State Park, right before you climb Katahdin. There are hundreds of spots in between the start and finish where you can stop and get your passport stamped. It would be hard to visit every single place but I’m sure someone out there has done it! It is personal preference whether or not you want to carry a passport. I didn’t carry one because I knew I would forget about it and just be carrying dead weight around. I also enjoy looking back through my journals and pictures and figured that would be enough for memories. I definitely considered it though! It would be fun to carry around a passport of all the places you’ve been and be able to show others. I hope you decide to carry this AT Passport but if you don’t, that’s ok too. Hike your own hike and have fun out there! Proper food storage is a very important concept on the Appalachian Trail and any other trails or camping areas. There are several methods for proper food storage such as hanging food, bear boxes, and bear canisters. The most common method has been hanging food in a waterproof sack from a tree branch. It is recommended to hang your bag at least 6 feet from the tree trunk, and 12 feet above the ground. While this method is good for deterring bears from your food, it does not always work. Bears have gotten smart when it comes to food and have been known to get in bags that are hanging. Throwing the line to hang your food can also be tricky, especially in treeless areas. Bears aren’t the only issue, rodents and small animals are known to tear through your bag. I swear some of those animals are acrobats because I have no idea how they got in to my food when it was hanging so high on a small bear line! Bear canisters are becoming a more popular food storage container so we wanted to tell you a little bit about them and our experience with them. Canisters are hard plastic containers that are portable. They are not scent proof, but since they are durable, no animals can get inside of the canisters. Anything you carry that has a scent, should ideally be stored in your bear can at night. Items such as food, toothpaste, and hand sanitizer should to go into the bear can. The canister is supposed to be set down at least 100 feet from your campsite. You want to try to wedge it in between some rocks or trees because while the bear won’t be able to get into it, they can roll it away. Bear cans can weigh a few pounds and they are bulky. Since they remain the same shape all the time, it can be difficult to finagle it into your pack. But once you start to eat more food, you can always stuff other items in your bear can such as stove, or first aid kit. The plus side of carrying a bear can is the convenience. You don’t need to worry about hanging your food, and you can even sit on the bear can as a seat! 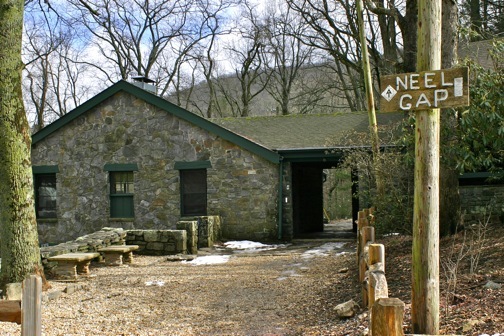 The only place on the entire Appalachian Trail that has a bear canister requirement is the five mile section South of us here at Neel Gap, to Jarrard Gap. There have been issues with bears in the past, so this regulation is to protect the bears and the hikers. The Appalachian Trail Conservancy recommends hikers to use a bear can from Springer Mountain, to Damascus. The trail is just very crowded and bears are likely to hang around camping areas. Storing food in bear cans protects the bears from tasting human food, and it protects people to keep the bears away from them. 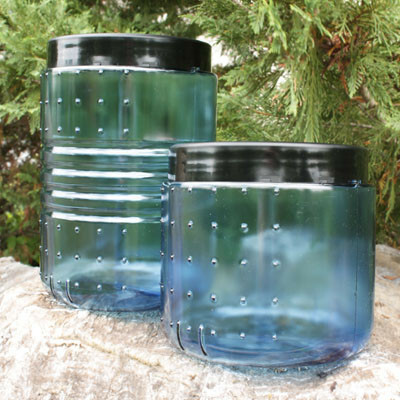 There are many more bear canister requirements throughout the United States, so it is important to do your research for your hike beforehand to know if you need one or not. Here is a brief list of the bear canister requirements. I was a Ridge Runner for the ATC a few years ago and was required to carry a bear canister to show hikers and lead by example. I really didn’t mind carrying it! I had one of the smaller ones, the BearVault 450, and it carried about 4 days of food for me. I did run into an issue with a bear rolling my bear can off the side of Tray Mountain. It took me and several other hikers to find it about a quarter of a mile down and it was severely scratched up! The bear never got into it and I was still able to eat all my food! Crisis averted. I also carried a bear canister in the Sierra Nevadas on the Pacific Crest Trail. I carried the BearVault 500 which is the larger one. The food carries in the Sierras were a bit longer, and I had been hiking for over a month, so my appetite was pretty strong. I will admit that I couldn’t even fit all my food in my bear canister because I ate so much! The bear canister was fairly heavy when it was fully loaded, but it fit fine in my pack and wasn’t uncomfortable. Yes my pack was bigger, but it really wasn’t too bad. I was following the rules of the National Park, and I felt safe from bears getting into my food. My bear canister all scratched up! 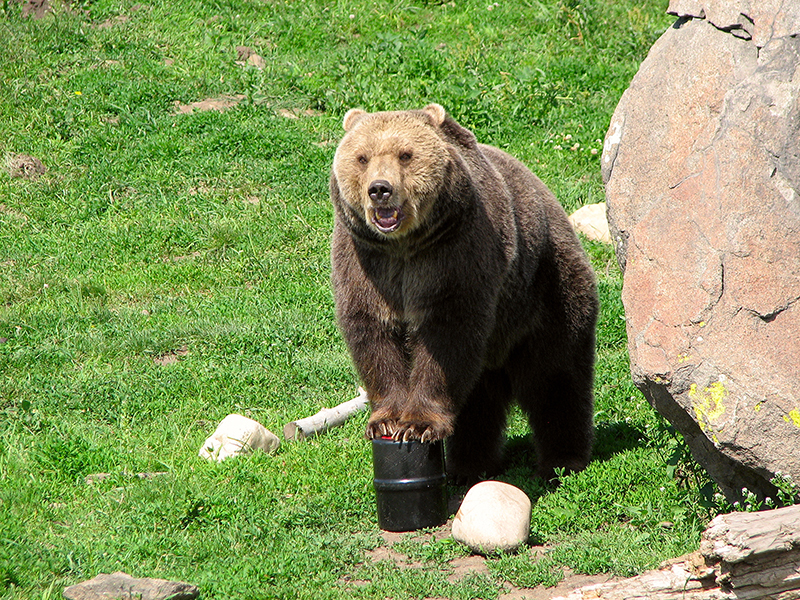 All in all, the bear canister is bigger and heavier, but it helps keep your food safe from bears and other animals. It is important to not let bears taste human food because once they do, they will become habituated and constantly search for that food. We want to protect the bears and keep them safe and wild for years to come! Mountain Crossings 2018 Kick Off Party! Our Kick Off party this past weekend was a huge success! I know some people might have decided to bail because the weather was looking questionable, but it turned out to be a beautiful day! Wyatt Espalin delighted us with awesome music, we ate a ton of hot dogs and smores, and we had some great gear reps to talk to! I hope everyone enjoyed their time and congratulations to all those who won a prize in our raffle. We raised around $800 for the Southern Appalachian Wilderness Stewards (SAWS) so thank you to everyone who bought a raffle ticket. We just wanted to share some of our favorite pictures from this past weekend so enjoy and we hope to see you in the store soon! Thanks again for coming to our party and good luck to all 2018 AT thru hikers! Many people wonder whether or not mail drops are a necessity on the Appalachian Trail. They can be beneficial to your wallet, and they can be convenient. This post will talk all about mail drops on the trail and what to expect. If you are budget conscience on the trail, buying food ahead of time and sending mail drops in certain places can definitely help. You can buy cheap food in bulk and have someone send them to you. You do need to pay for shipping, but flat rate USPS boxes are fairly cheap. If you have diet restrictions, mail drops might be a must for you. Some towns won’t have as many food options or grocery stores where you can buy special food. Even if you like homemade dehydrated meals, this can be more nutritious to make ahead of time and have someone send you food along the way. Sometimes the post office will not be convenient to access. The hours for post offices can vary and sometimes they are further off trail then maybe a convenient store. You can also send mail drops to hostels, hotels, and outfitters. These hours can be more convenient but a lot of the time you will need to pay a fee for holding the box. The hours for these businesses can also vary. If you are being budget conscience, you might not be able to afford to hang around town for a day to wait to get your box. You might not know when you will stop. Maybe you will end up hiking with a group of people who decide to stop in a different town than the one you’ve had a box sent to. You can always split up, but it seems silly to change all your plans just to pick up some food. Mailing drop boxes won’t always be cheapest. If you stop in a larger town, they usually have a reasonably priced grocery store you can stop at and get all the items you need and you can save money on shipping. Resupplying can take time and energy from your day, but if you generally know what you want, it’s fairly easy. A bounce box is a box that you continually send up trail ahead of you. This allows a hiker to have a larger amount of an item at their reach without having to carry it all on their back. If a medicine or food is hard to find, a bounce box can be a great way to ensure you have it. If you get to town and decide you don’t even need to open your bounce box, you can go ahead and forward it ahead. USPS does this for you for free but if you’ve mailed it to a store or hostel, they will likely make you pay for shipping. USPS can be very helpful along the trail! Before my thru hike, I prepared almost all of my food so my mom could send me mail drops along the way. We dehydrated tons of fruits, veggies, meat, etc and prepared meals ahead of time. I also bought lots of snacks in bulk from Costco. I had stations set up in my parents basement sorted into breakfasts, snacks, lunch, dinner, toiletries, so it was easier for my mom to throw things in a box. I would text her how much of each I wanted her to send and where. I thought this was a great idea and would save me time on finding places to buy food along the way. This was a mistake for me. I prepared a lot of the same meals, and snacks, and got sick of all of them. I also didn’t always know when I would want to stop in a town. It can take time for a package to get to its destination so if I decided to go to a town in two days, that wouldn’t be enough time to mail a package. Getting food in town is usually fairly easy, and I wasn’t on a strict budget so if a town was a little pricey, that was ok by me. I had been backpacking a good amount before my thru hike, so I thought I knew what I wanted to eat, but there are so many options out there! I tried a lot of different meals and discovered what I liked. The food I prepared ahead of time was still good but I needed variety. Doing the research ahead of time can help when sending a drop box. At Mountain Crossings, we ask you write your name on all sides of the box, and estimated time of arrival (ETA). This helps us find the box faster when you arrive. You want to send your box 1-2 weeks ahead of time, so you can be sure that it will arrive before you do. We hold boxes for a month after the ETA. It is helpful too if you get off the trail to let us know whether you want us to mail you box back to you, or if we should donate it to the hiker box. We also ask for a dollar donation for holding the box if you have it. Some businesses may ask for more so that is important to note and have the appropriate amount of cash. Again, check business hours so you can make it to your box in time. We have this information on our website here if you want to check it out! Make sure you mail a box with enough time for the box to get to its destination! Mail drops are not necessary unless you are on a strict diet or budget. The Appalachian Trail has many towns you can access that will have stores for your resupply. If you plan on doing another trail, research to see if drop boxes are necessary.